Husband and wife, Xavier Tin and Natalie Palmer, founded The Host Table in 2017. At that time, the two of them had, in some way or another, been involved in the wedding scene for over twelve years. Their common language is art and design and working together has refined the strong points in each to make for that perfect partnership. Instead of choosing what was already available, their love of styling found them curating perfect pieces to the delight of their wedding clients. Before long the collection grew and soon there was a demand from others to style with their unique pieces. A beautiful wedding dinner becomes a lifelong and most treasured memory and The Host Table is proud to weave into that memory. Natalie is the head stylist, florist and full service wedding planner at Paper Diamonds. 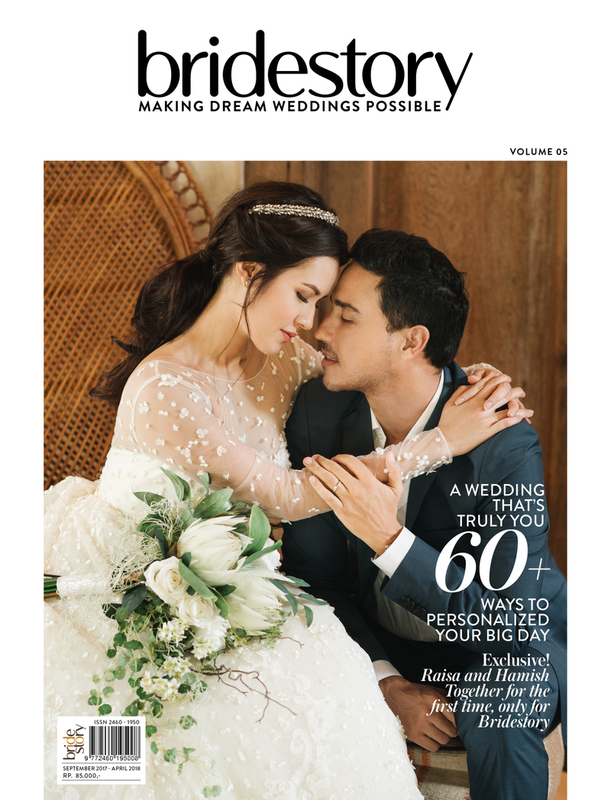 They work on custom weddings in Bali and their work regularly gets featured. Xavier is an award-winning fine-arts painter, illustrator, graphic designer and web designer who exhibits his work in Australia and Indonesia. His first show was a successful sell out and he primarily focuses on portraiture. Both Natalie and Xavier lead a team artists, designers, illustrators, stylists, operational professionals, illustrators, web-designers, product designers, sales executives, warehouse controllers, delivery teams and each person is an integral part of the company. Each team member has had a part in the way the company is formed and has had a voice to ensure everything runs smoothly from production on locally-made ceramics to how items are delivered. They collectively share the same core values about art and work and it is the fundamental drive for the collections you see. our collections are a representation of who we are. designed and curated by artists, designers, event specialists and lovers of magic. WE love textureS, tones and perfect moments. The collection is the essence of The Host Table and pieces are chosen and valued for their beauty in gracing a wedding table. Practicality demands that they are transportable and last for many events. Styles are chosen from all over the world but Made in Indonesia is close to our heart and a percentage of the collection is dedicated to items made by local artisans. The Host Table is committed to using local crafts and is proud to include them in the collection. Good friend, Ruth from Seniman Calligraphy designed the logo when they first started in early 2017. Within the first year of its launch, The Host Table has been honoured to be part of many incredible events.